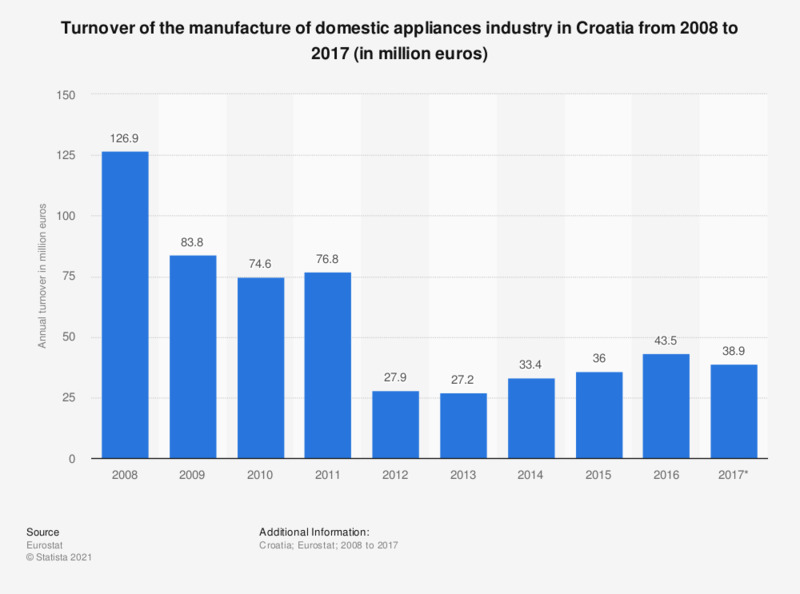 This statistic shows the annual turnover of the manufacture of domestic appliances in Croatia from 2008 to 2017. In 2016, the manufacture of domestic appliances produced a turnover of around 43.5 million euros. Statistics on "Household appliance consumption in the UK (Kantar Media TGI)"